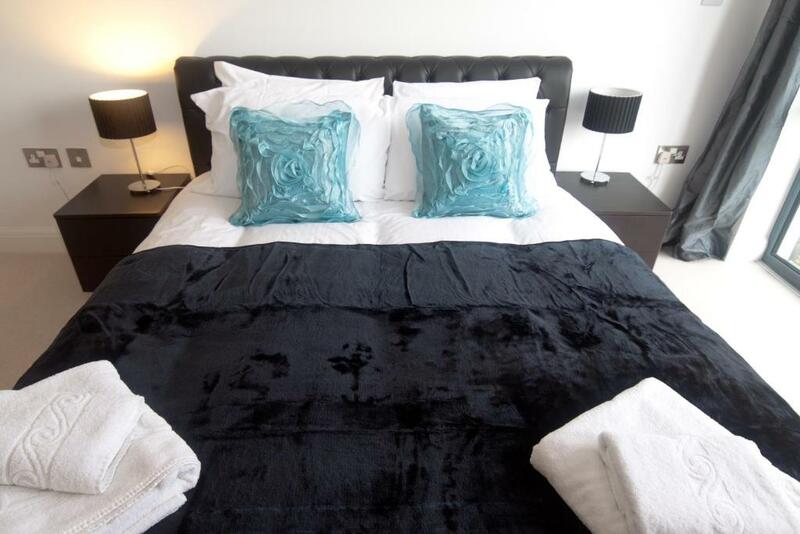 The House of Moli offer modern, executive level self-catering accommodations with views of Tower Bridge. 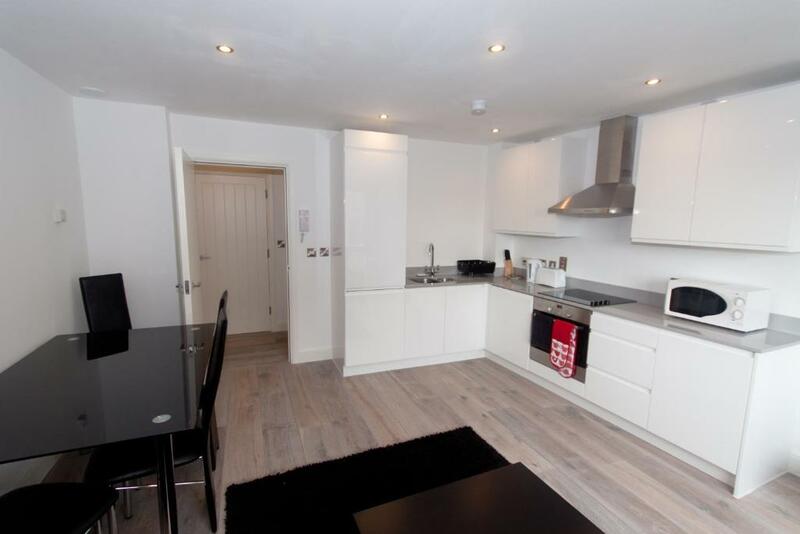 Apartments feature a well-equipped kitchen, a spacious living room with a balcony and free Wi-Fi. 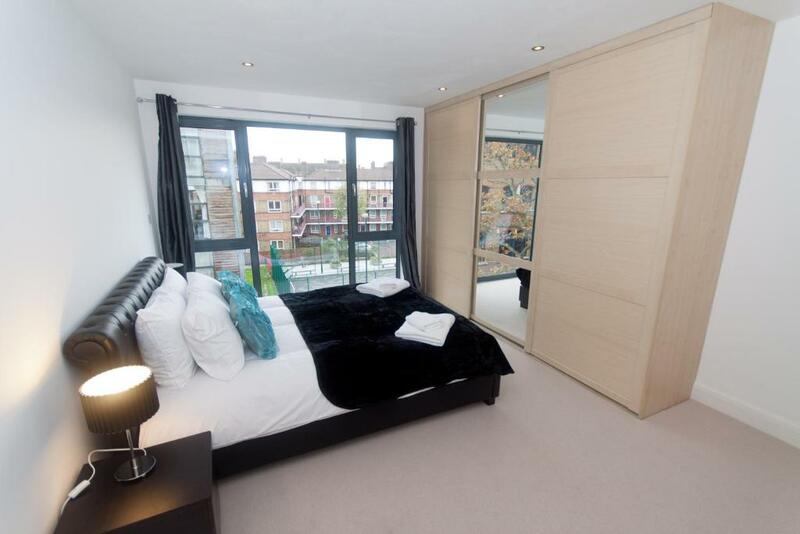 The stylish House of Moli - London Bridge apartments have parquet flooring and modern artwork on the walls. The lounge area has a large flat-screen Freeview TV and a comfortable sofa. Kitchens consist of of a washing machine, microwave, hob/oven and a dishwasher. Kitchens utensils and crockery are provided and there is a separate dining area. Bermondsey Square Antiques Market is a 5-minute walk from the apartments. London Dungeon and London Bridge are both within a 10-minute walk. Borough Tube Station and London Bridge Mainline station are less than 10 minutes' walk away, and has excellent transport links for exploring London. The MoLi Apartments have a secure entry system and are serviced weekly. 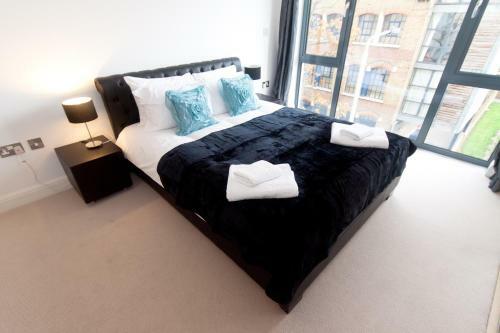 When would you like to stay at London Bridge apartments in Southwark? House Rules London Bridge apartments in Southwark takes special requests – add in the next step! A GBP150 damage deposit is required 14 days before arrival (about USD195.14). This deposit will be fully refunded 14 days after check-out, as long as there isn't any damage to the property. London Bridge apartments in Southwark accepts these cards and reserves the right to temporarily hold an amount prior to arrival. The property and public areas within the building are strictly nonsmoking. 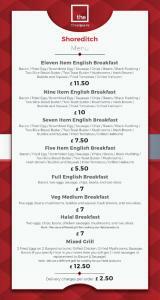 A charge of GBP 370 applies if guests violate this rule. The number of guests staying in the property must not exceed the number of guests included in the booking. If additional guests are found to be staying in the property, a surcharge of GBP 40 per person, per night is applied. Alternatively the property may cancel the booking and you may be asked to leave without refund. Visitors and third party bookings are not permitted. Early or late check-in/check-out is subject to availability and additional charged apply. Payment is required in advance, prior to arrival. The property offers a meet and greet service for check-in, please inform the property of your expected time of arrival at least one hour prior to arrival. Rates include provision of linen and towels, weekly cleaning of the Property and a weekly change of linen provided by the Company. Additional cleaning will incur additional charges. 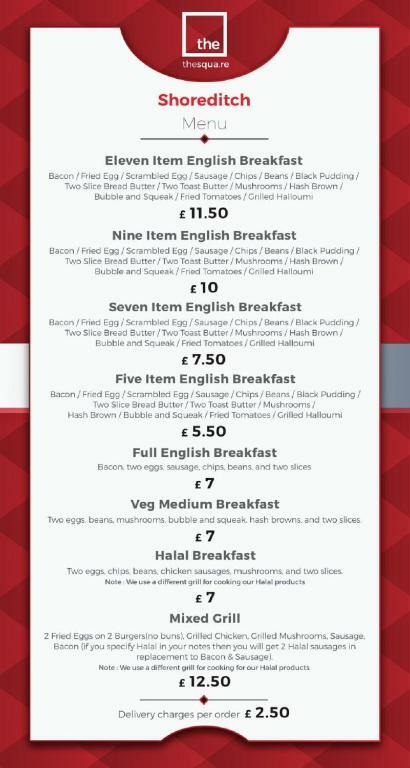 A breakfast pack can be provided for arrival and costs GBP 30. Please contact the property to make arrangements for the airport transfers. 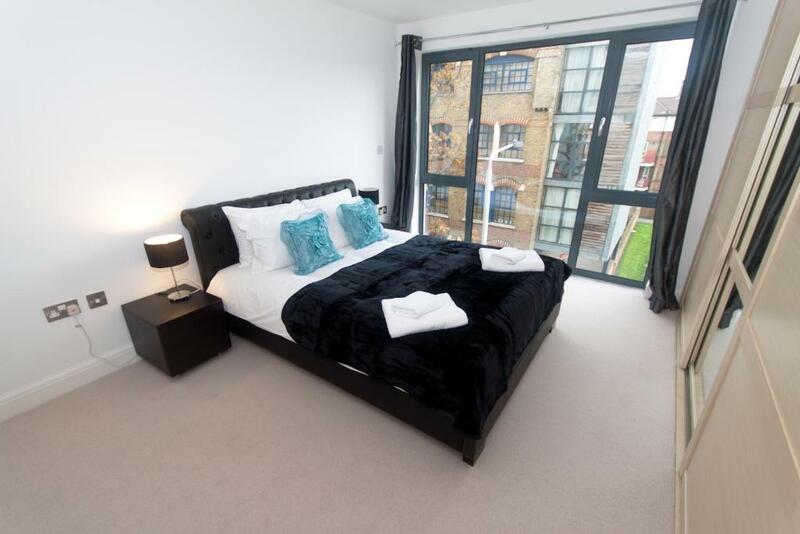 Please inform London Bridge apartments in Southwark of your expected arrival time in advance. You can use the Special Requests box when booking, or contact the property directly using the contact details in your confirmation. Please note that the full amount of the reservation is due before arrival. Arvi will send a confirmation with detailed payment information. After full payment is taken, the property's details, including the address and where to pick up the keys, will be sent to you by email. A damage deposit of GBP 150 is required. The host charges this 14 days before arrival. That's about 195.14USD. This will be collected by credit card. You should be reimbursed within 14 days of check-out. Your deposit will be refunded in full by credit card, subject to an inspection of the property. Clean modern and fresh. 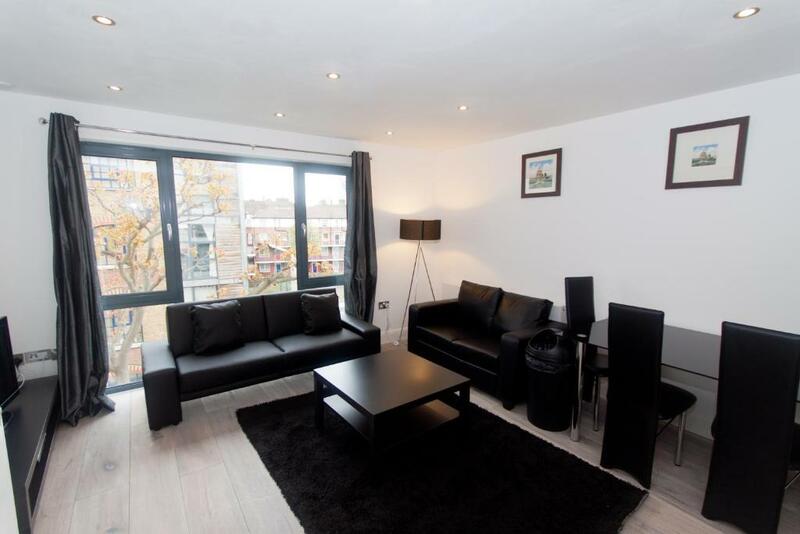 Close to amenities and short walk to Bourough tube station and bus routes. NO BATH PLUG SO WAS UNABLE TO USE THE BATH PRODUCTS I HAD BOUGHT SPECIFICALLY FOR THIS TRIP. There was also a real lack of tea and coffee facilities. Despite several communication emails with apartment management (sq'are), we were surprised with a cancellation when we arrived. They promised some monetary compensation but never called us back. However, the upgraded apartment was an excellent way to compensate us and we had a great vacation. I wish there was air conditioning, it was hot at times. When a technical error canceled our reservation without any notice, they offered us an upgrade to a much bigger/better apartment in a better location. They paid for an uber to the new location where a representative was waiting with the keys. The apartment was on Commercial road, right next to Aldgate East Station, great location and beautiful views from the 12th floor apartment. (Apartment 1209). I don't know if this apartment belongs to London Bridge Apartments or to Sq'are...the whole thing was confusing. 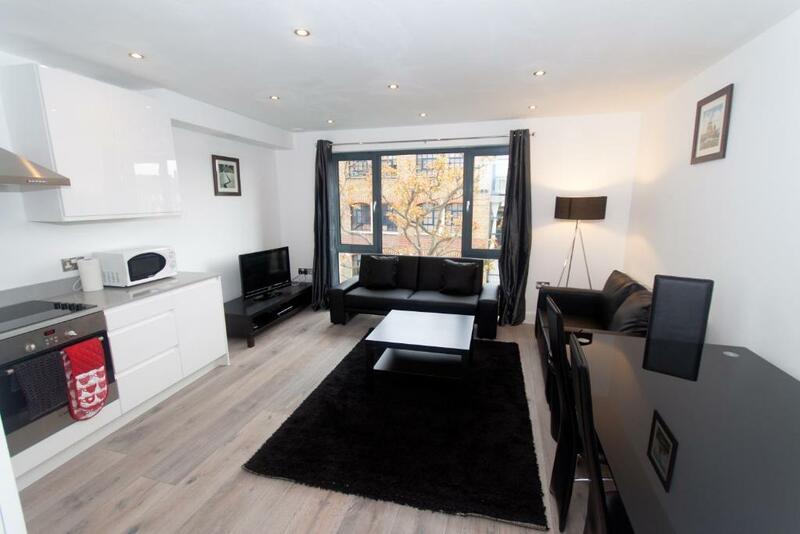 Mike received us at London Bridge Apartments and was very nice, professional and helpful while they figured out the solution for the apartment booking error. He gave us tips of things to do in the area and made us feel welcome. The apartment views were spectacular, the bathrooms (2) and bedrooms (2) were great too. Very modern furniture (although sometimes not too functional, like the sink in the bathroom with no counter space at all), very luxurious looking apartment in a nice building with 24h concierge.